Varietats: Silence Of The Jams by Gayle Leeson - Great Escapes Blog Tour + Giveaway! 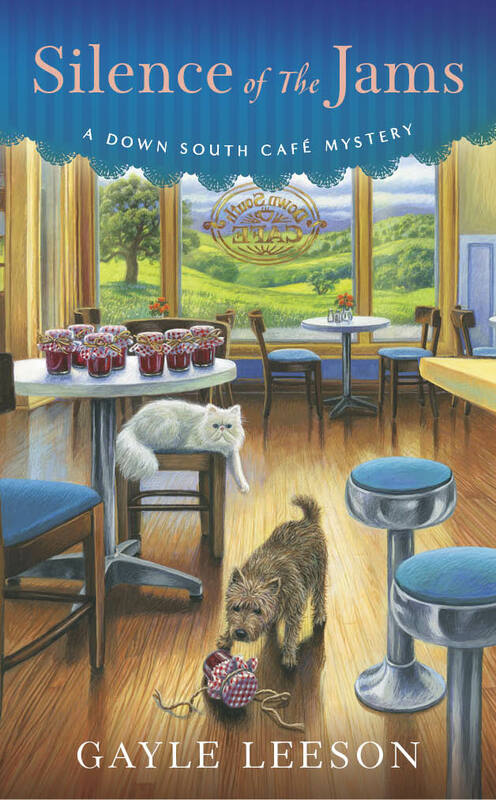 Silence Of The Jams by Gayle Leeson - Great Escapes Blog Tour + Giveaway! Amy is the owner of the Down South Café, where once every month (more or less...) there's a dead body! Between her eccentric clients, her family problems and the amazing recipes she creates, the mysterious deaths just add a little bit spicy on the non-stop Amy life. Who is the murderer this time of the blackmailer? 'I got Homer a cup of coffee with cream and one sugar. "Who's your hero today?" "Enrique Pena Nieto, the Mexican president. He said, 'Behind every crime is a story of sadness.' Do you believe that's true?" Amy lives in a nice neighbourhood, with her family near, and that means that their problems too, luckily, they make a common front agains adversities and they teach us that no matter what, you have to give another chance for redemption. This is the second book of the series The Calamity Cafe, but you can read it as standalone. This book touches the drug addiction and taking prescription pills that doesn't belong to you. I've never understood how you can give to someone a pill that is specially for your ailment to someone that you don't know what effects could cause to them, if you are not a doctor, a prescription pill should be forbidden to share!